The Victory Screen | Blot Interactive | Imagination at play. To truly master Chat Fu, you’ll need to beat as many of your friends as possible in intense Chat Battles. If you manage to survive – destroying your opponent with deception and guile – you’ll get the chance to share a special screenshot of the final moments of the game on your friend’s Facebook wall! 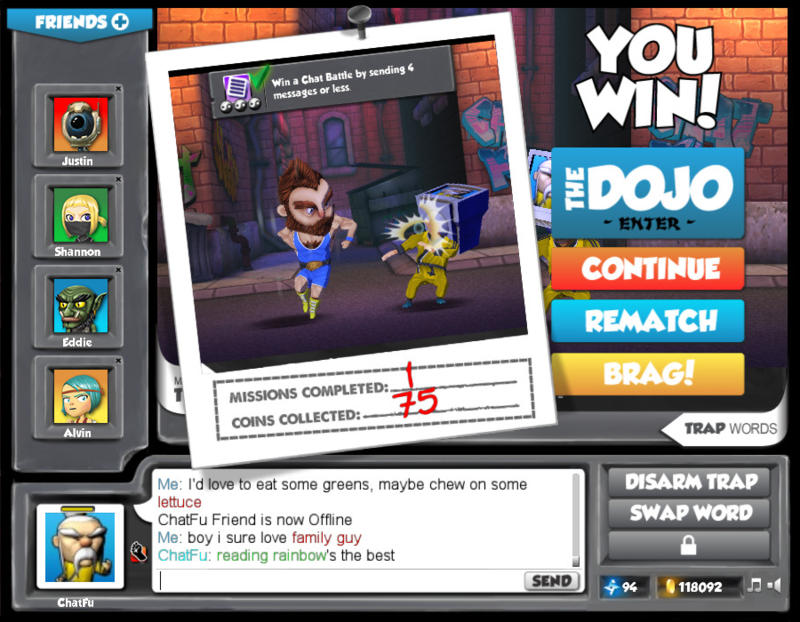 You’ll also complete unique missions based on your victory – like winning a Chat Battle by sending 6 messages or less. Challenge yourself to beat your opponent more quickly to earn extra rewards and unlock new fighters, items and arenas! We can’t wait for you to share your Chat Fu victories on Facebook when the game launches very soon!